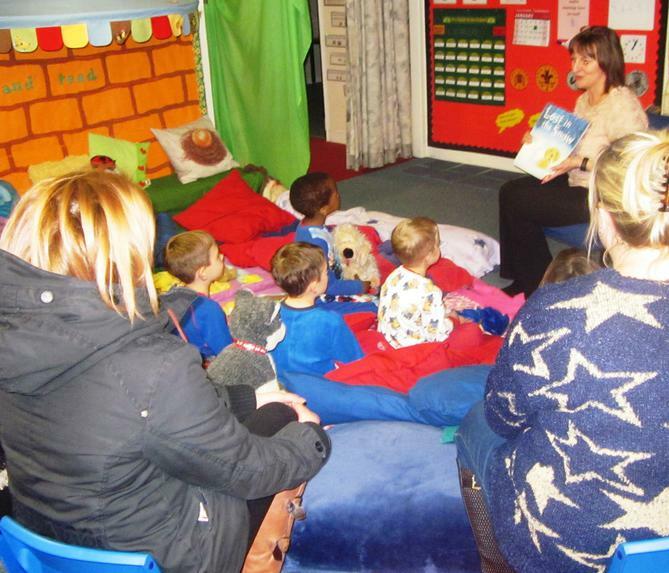 …but not pupils here at Boughton Leigh Infant School in Brownsover, Rugby! 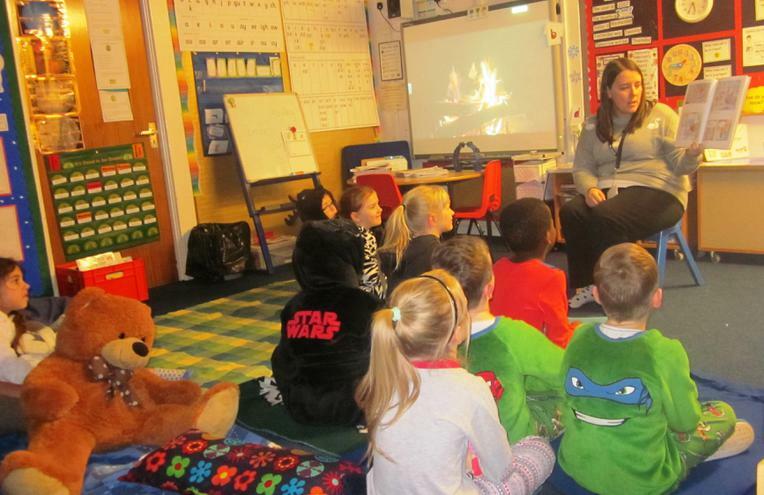 They swopped their uniforms for nightwear and returned to their classrooms for a Twilight Story Session. 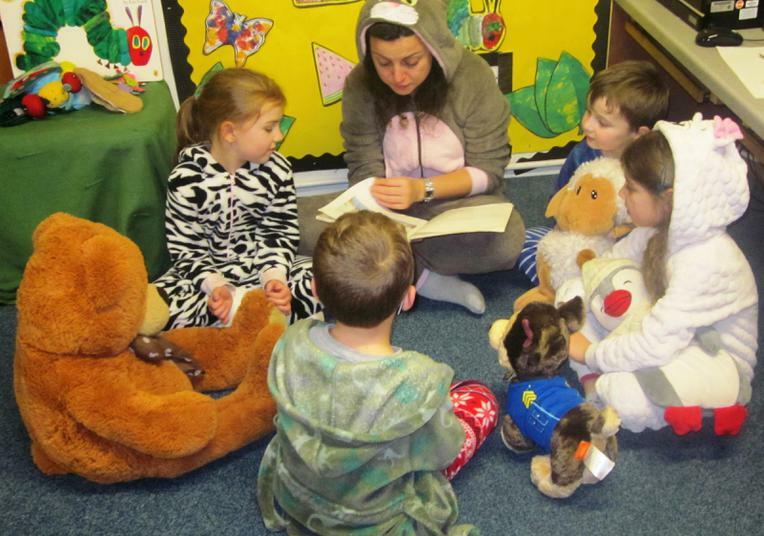 The children listened to favourite bedtime stories read by teachers and classroom assistants. 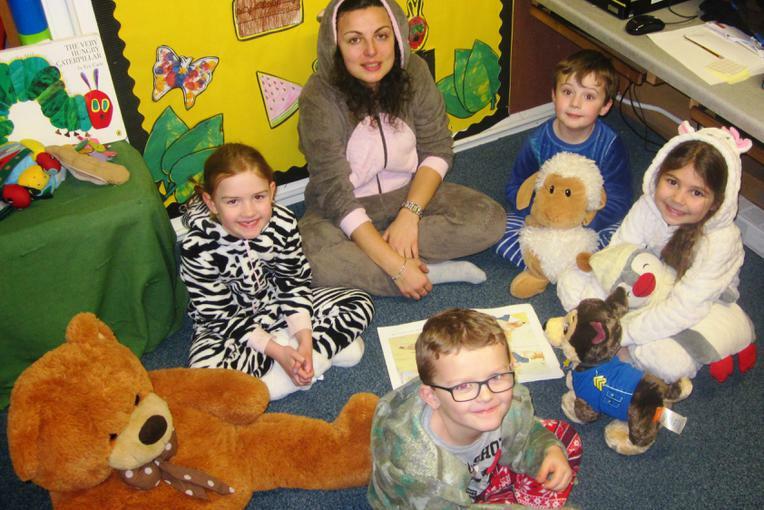 The event was organised as part of the school’s literacy programme to provide pupils with a memorable learning experience and to promote reading at home.